Inspired by close collaboration with nearly 4,000 IT professionals and end users, Dell today announced a completely new line of Latitude and Dell Precision laptops, ranging from the lightest ultra-portable in the company’s history to the most powerful mobile workstation. The new Dell Latitude systems provide breakthrough battery life, brilliant new design and style – including a choice of five colors. SAN FRANCISCO and LONDON – Inspired by close collaboration with nearly 4,000 IT professionals and end users, Dell today announced a completely new line of Latitude and Dell Precision laptops, ranging from the lightest ultra-portable in the company’s history to the most powerful mobile workstation. More details are available at www.dell.com/latitudepresskit. The new Latitude systems provide breakthrough battery life, brilliant new design and style – including a choice of five colors. Dell’s re-engineered Latitude lineup answers a wide range of user profiles: Ultra-Portable – Dell Latitude E4200 is a 12.1-inch laptop that starts at 2.2 pounds, making it the lightest commercial notebook in the company’s history1. 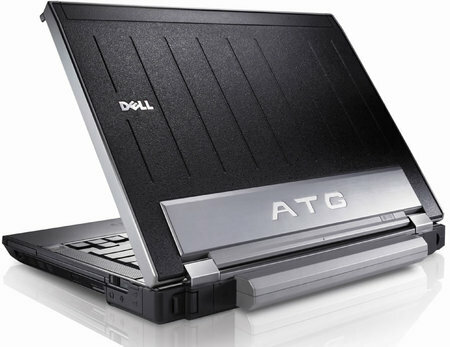 The 13.3-inch Latitude E4300 has a starting weight of 3.3 pounds1. Designed for road warriors and executives who demand maximum performance and light weight, the systems will be available in the coming weeks. 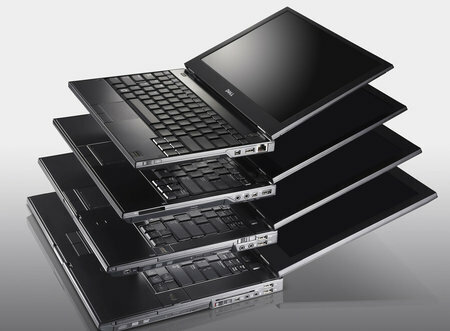 Mainstream – The Dell Latitude E6400 and E6500, available today, are 14.1- and 15.4-inch laptops that start at $1,139 and $1,169, respectively. The systems are ideal desktop replacements for high-performance users. 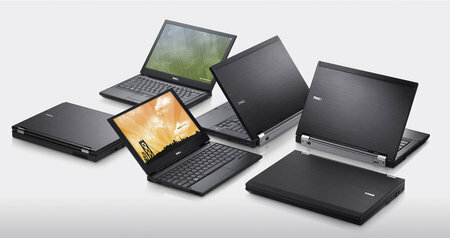 Essential – The Latitude E5400, a 14.1-inch notebook, starts at $839, and the E5500, a 15.4-inch notebook starts at $869. Available today, the systems include everyday features at a cost-effective price. Semi-Rugged – The Latitude E6400 ATG is a 14.1-inch semi-rugged laptop that starts at $2,399 and will be available next week. It is built and tested to meet Military 810F standards for dust, vibration and humidity. Dell will offer colors for the first time on Latitude laptops. In addition to Mica-Brushed Metal, the Latitude E4200, E4300, E6400 and E6500 will be available in Regatta Blue, Regal Red and Quartz Pink (E4200 only) in the coming weeks. The E5400 and E5500 are available in Matte Black. Simplified IT with compatible peripherals, adapters, docking and robust manageability features across the entire portfolio. The company also previewed Dell Latitude ON, a new technology that will enable near-instant access to e-mail, calendar, attachments, contacts and the Web without booting into the system’s main operating system (OS). Expected in the coming months on the Latitude E4200 and E4300, Dell Latitude ON uses a dedicated low-voltage sub-processor and OS that can enable multi-day battery life. Dell, the world’s No. 1 workstation supplier, also unveiled a new line of ISV-certified Dell Precision mobile workstations targeted at performance-oriented customers in the engineering, media, entertainment and biosciences industries3. Available today, the details include: Dell Precision M4400 – Starting at $1,569, the 15.4-inch mobile workstation features leading-edge graphics and supports up to 8 GB of RAM. Dell Precision M2400 – Weighing 4.77 pounds, the company’s lightest mobile workstation is a 14.1-inch system that starts at $1,4491. The company also introduced a 17-inch mobile workstation concept that revolutionizes mobile performance. Housed in an orange, anodized aluminum chassis, it supports up to 16 GB of RAM, a 1 GB graphics card, upcoming quad-core processors and up to a terabyte of storage on two drives. This doubles the amount of memory and processor cores, and triples the storage available on Lenovo and HP mobile workstations today. More details can be found at www.dell.com/nocompromise. The new Latitude mainstream and ultra-portable laptops, as well as Dell Precision mobile workstations, are available with Energy Star 4.0-compliant configurations and meet EPEAT “Gold” rated configurations. The Latitude E4200 is Dell’s first notebook offering a motherboard containing halogen-free laminates, as well as halogen-free chassis plastics and fan housings. The ultra-portable laptop also ships in packaging that is up to 99-percent recyclable by weight. All of the new products are also available with Dell’s ProSupport Mobility Services, a suite of modular services that help companies protect assets and data. To protect confidential company information, Dell can also automate data encryption on all laptops and centrally manage company-defined security policies in a way that is transparent to the end-user. Dell’s Desktop Manager service allows IT to track dispersed systems, distribute software, manage patches and enforce IT policies. For more information, visit www.dell.com/services. Coinciding with the introduction of Dell’s new laptops, the company launched a new community site called Digital Nomads. It is designed for individuals who are not defined by the four walls in their office or home, but by a desire to always be connected for work and play no matter their location. Community members can come together to read about other digital nomads and share ideas, tips, tricks and best practices. Twitter users will be able to follow live updates from Dell’s press conference and ask questions by following @Digital_Nomads (www.twitter.com/Digital_Nomads).